We all know the importance of securing online activities.When it comes to online activities, Gmail plays a role.If you want to register in any website we need an Email. Just think what will happen if some one hacks our email password. Not only the email, We must secure all online accounts. 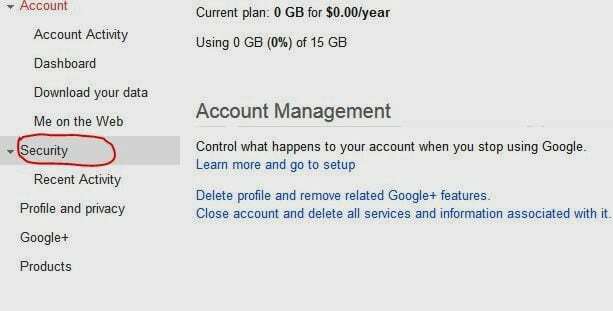 You can see the all tips to secure online activities.In this article, we’ll see how to secure Gmail with 2-step verification. 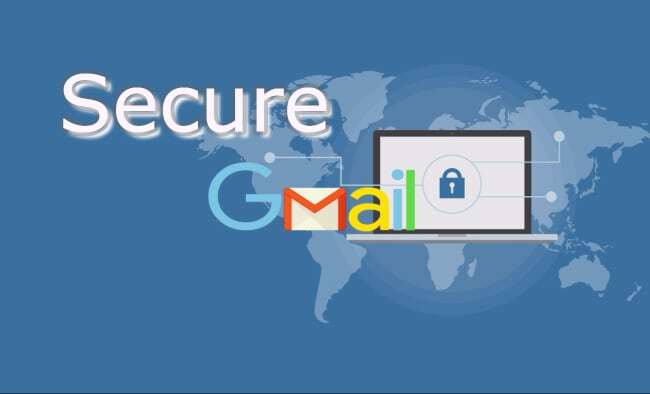 2-step verification is a 2 level or 2-layer security that is provided by the Google.Usually, if we want to log in to our Gmail we’ll enter our username and password then we can see our inbox. 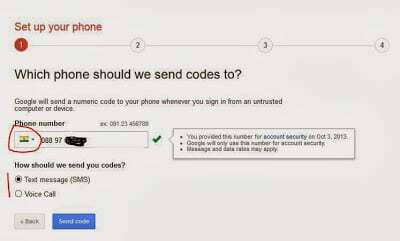 In 2-step verification code will be sent to your mobile number(that you’ve used to setup 2-step authentication.You have to enter that code compulsory whenever wherever you try to log in to Gmail. If anyone hacks your password, they cannot log in to your email with out your mobile. Things to remember before turn on 2-step authentication.It is beneficial for everyone to secure email accounts. If you don’t have your mobile with you or even if your mobile doesn’t have charging or signal you can’t get a code, and you can’t log in. Google is brilliant, so they kept two excellent alternatives for this type of problems. You can use more than one numbers to turn on this feature so that if one of your phone/numbers is not working then you can use another name(you’ve to add your all number before turning it on). Then you may be thinking if you don’t have any mobile with you then what to do. 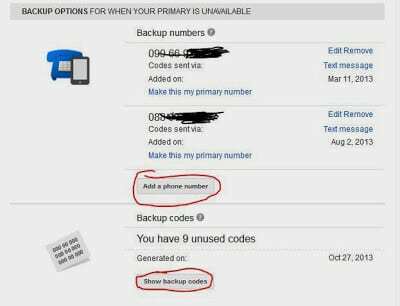 Don’t forget as I mentioned there is another best alternative is there that is you can generate ten backup codes whenever you want.You should know about Gmail backup codes. You can create a set of 10 codes whenever you want.1 code works for only one time.Let’s say if I have used 3 out of 10 codes then I can generate a new set of 10 codes, but previous seven codes will not work.That means you have to enter a backup code that is generated last time.You can create your Gmail backup codes. Another thing you should consider – If you want to login to any Gmail apps in your phones or G talk then you will not get a code. Instead of code, you can generate a password in security settings called Application specific password.You have to create this code instantly from your configuration.Don’t worry this one-time setup.If you enter this Application specific password for the first time in your email apps that is enough.You don’t need to do this every time of requests. Register with 2 or more mobile numbers. Always keep your backup codes in wallet. So, Are you ready to secure your Gmail? How to setup 2-step verification? First, log in to Gmail. Go to Security tab as shown in the figure. Then you will see a new page go down to that page then you will see options like in below image. Click on edit then you will get a new page click on start setup. Then you will get a page like below. Then select your country and enter your number then click send the code. You will code a code enter that code in step 2. In step 3 you will get an option trust this computer.If you put tick mark there, you don’t need to enter codes next time on that machine. Select this option when you’re using your computer only. Click on Next >> then click on confirm. Go to settings >>security >>2-step verification >>click on edit then you will get a page like in the image click on the marked section.You will get codes save them in your PC and write down them in another paper. Don’t forget to follow us on Google+, Facebook & Subscribe to get latest tips.